Coffee and kids don't seem like they could hang out, but in these places, they do! 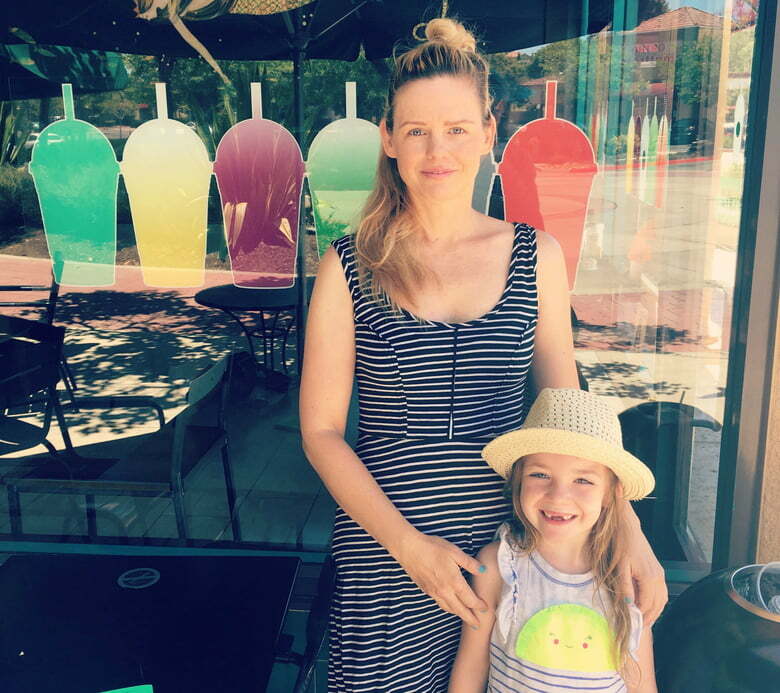 Java Mama’s closing in San Diego cast a pall over all coffee-loving parents, babysitters, and nannies in search of a coffee shop that not only has great coffee but also is welcoming to kids. Let’s face it: Coffee is an essential part of our lives, so it’s always exciting to find one of these elusive kid-friendly spots. Trust me, they’re out there. Luckily, San Diego still has a number of family-friendly coffee shops that go above and beyond to satisfy our caffeine (and croissant?) cravings while also including our kids in the experience. Take a look at this list to spot the one closest to you. Hours: Open daily, 7 a.m. – 7 p.m. This gorgeous, open-spaced coffee shop is much more than just a place to sip brew; it is designed specifically to encourage people to sit and mingle … including your kids, who will be delighted with the toy basket set out to keep little hands busy. There are all kinds of seating arrangements, including cozy chairs with pillows. 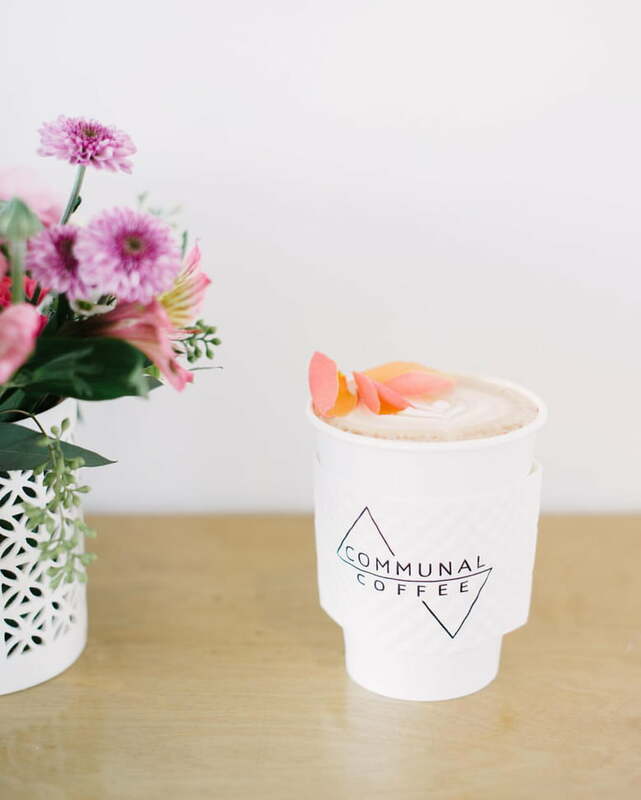 Communal Coffee has collaborated with the flower-arranging company Native Poppy, which cohabits the building and provides all of the lovely flowers and greens you see around the shop. Kids can watch flower bouquets being arranged while they drink their hot chocolates. 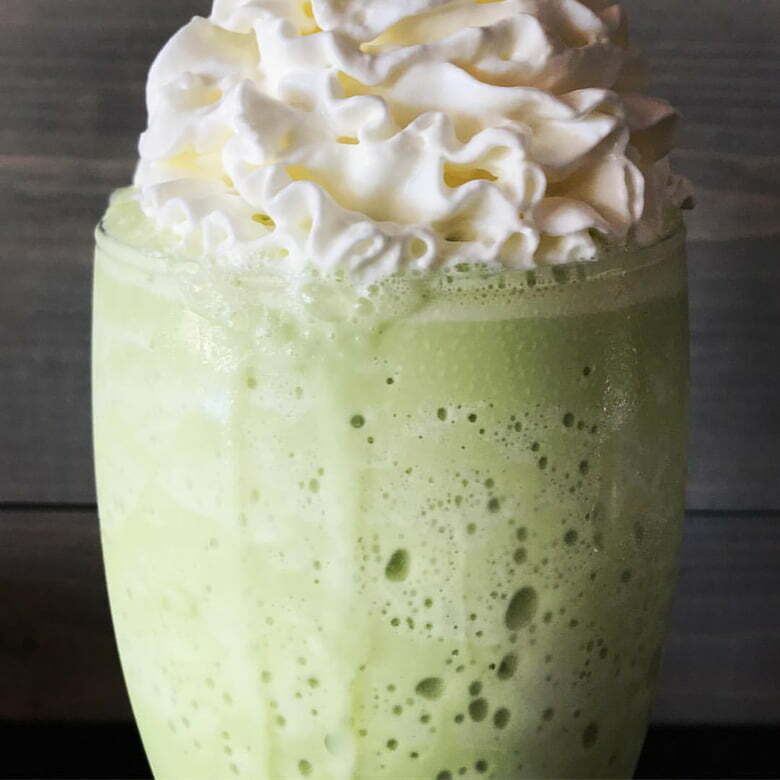 In addition to unique coffee offerings like the lavender honey latte, Communal Coffee serves cold-pressed juice, tea, and a tasty food menu that includes tempting items like avocado toast, veggie quiche, and fresh pastries. Kid Ventures is the perfect place for younger kids who want something fun to do and parents who need a cup of coffee and Wi-Fi. 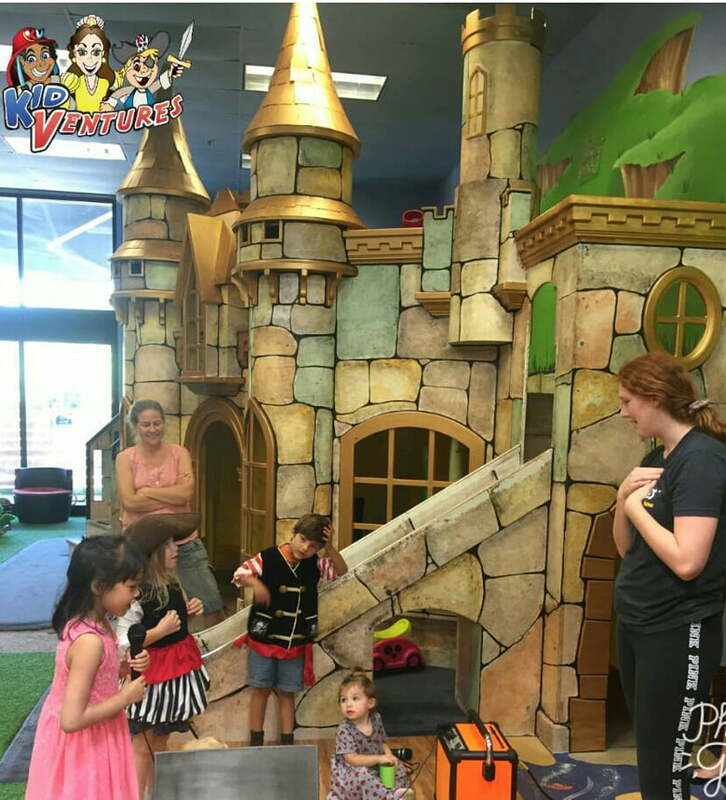 The kids can play in Kid Ventures’ charming, make-believe world that includes castles and climbing walls, while Mom and Dad sit and sip coffee in the Parents’ Café. Yes, they don’t have a vast array of coffee, but what they do offer makes up for the lack of specialized lattes: time to yourself with your kids in plain sight, having a blast! La Jolla: Monday – Friday, 6 a.m. – 6 p.m. | Saturday & Sunday, 6:30 a.m. – 6 p.m.
Little Italy Coffee Bar: Monday – Thursday, 6 a.m. – 6 p.m. | Friday, 6 a.m. – 7 p.m. | Saturday, 7 a.m. – 7 p.m. | Sunday, 7 a.m. – 6 p.m.
Just blocks away from the gorgeous La Jolla Shores, Bird Rock Coffee Roasters is a charming, small coffee house with delicious roasts and a super-friendly, laid-back atmosphere. Kids will love that a Geppetto’s toy store is just down the road! The “Trophy Wife” is one of their most popular coffee offerings; it is a vanilla macadamia nut–flavored latte. 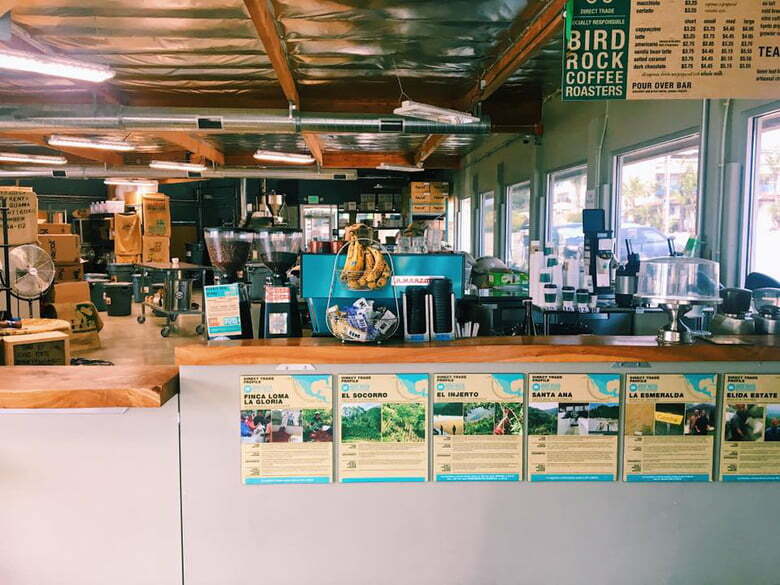 Bird Rock’s espressos are known for their especially smooth flavors, with chocolate and berry undertones. Their iced mocha is subdued, without a strong sweetness, instead preferring to let the coffee flavor truly come through. Next door is the Art Cooperative, where art and music come together. There’s live music on the weekends, and an open-mic night twice a month. The occasional celebrity stops by Bird Rock Cafe too (the Kardashians often visit, as their grandmother lives in La Jolla), so there’s always the chance of spying someone famous. Hours: Open daily, 6 a.m. – 6 p.m. The coffee drinks change regularly, and if you want to try something new and delicious with plenty of caffeine, this is the place! Try a hot mocha or a butterscotch latte (drool). Their lavender honey latte is particularly popular; it is a sweet honied coffee with a hint of lavender flavor. The light Guatemalan brew is delicious, as is their Holy Goat brew, which is more potent, with a real kick. The setting is bright and super cute, perfect for settling in for a few coffees and pastries and hanging out with your family. Hours: Both cafés open Monday – Sunday, 6 a.m. – 6 p.m.
Pannikin has been in business since 1968 (gasp! ), and they know how to please their community of coffee and tea lovers. Try the Mexican Mocha, a powerfully rich chocolate latte with hints of cinnamon. Or choose a “cement head,” which is espresso over ice with Mexican chocolate poured in. 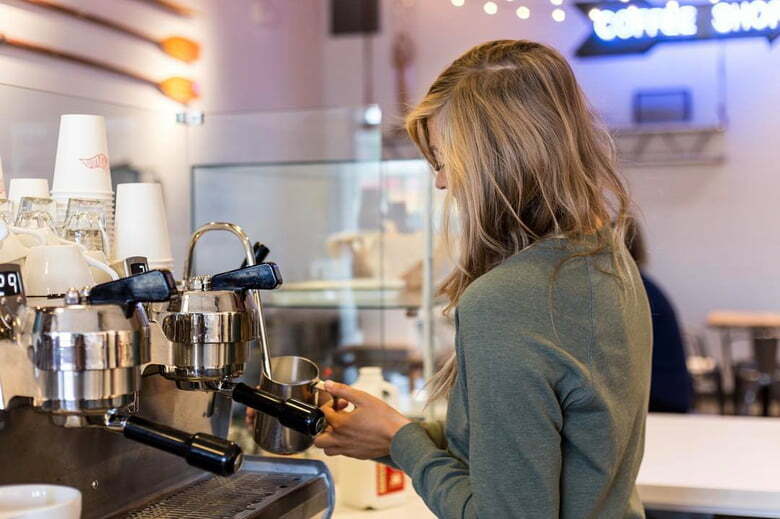 Try some of their other espressos with fanciful, rock-star names like Keith Richards and Jimi Hendrix, or just stick with a simple—but delicious—latte, cappuccino, or brewed coffee. Vegan? Good, because this place comes stocked with a dedicated vegan bar. Pannikin also handily sits right next to a bookstore, so the family can browse and buy a great book or two before sitting and reading at Pannikin Coffee and Tea. The location is a charming yellow and red building with a wonderful outdoor seating area holding tables and umbrellas. Kids will love to hang out in this open atmosphere and eat one of their delicious bagels.The beach is never far away, either! Hours: Monday – Thursday, 6 a.m. – 8 p.m. | Friday, 6 a.m. – 9 p.m. | Saturday, 7 a.m. – 9 p.m. | Sunday, 7 a.m. – 3 p.m. Using only 100% organic coffee beans, Brew Spot Coffee uses local beans from the supply at Café Virtuoso, which has some of the highest-scoring roasts in the United States. They serve a “flash brew,” which is a pour over ice. It’s not a cold brew, but the pour over ice brings out bright, floral notes in the coffee. For vegetarian and vegan patrons, they offer plenty of great eats, and they serve hot chocolate and make PB&J sandwiches for hungry kids. Brew Spot provides its guests with access to Wi-Fi and power outlets, as well as big tables that are conducive to working or just hanging out. The friendly coffee shop also has board games and books for all ages, perfect for a fun family night out. In addition, they offer live jazz on Fridays, and occasionally they host classes that cover a variety of topics, such as painting and crafting. Take the family and guzzle some yummy caffeine while you play a board game. Perfecto! Hours: Monday & Tuesday, 6 a.m. – 3 p.m. | Wednesday – Friday, 6 a.m. – 11 p.m. | Saturday & Sunday, 7 a.m. – 11 p.m.
Caffe Calabria is spacious and filled with the aroma of Italian foods and coffees. Come and hang out with your family on the charming patio as you soak up the gorgeous San Diego weather. 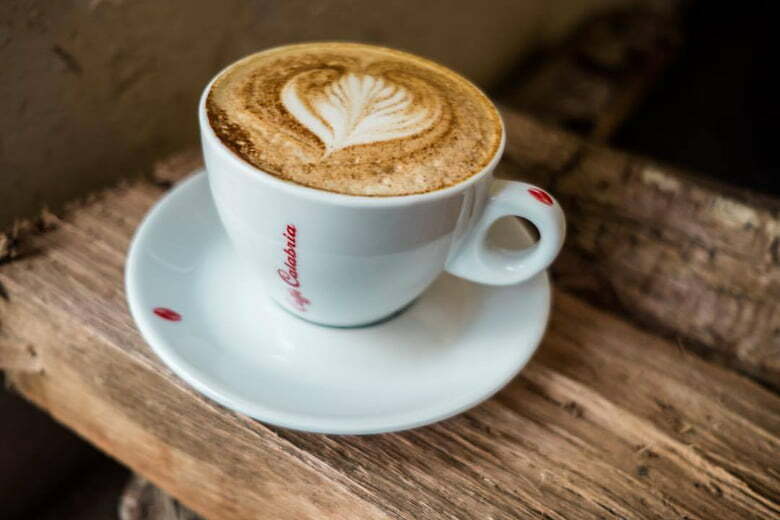 Caffe Calabria has award-winning espresso, tea, and Italian sodas for the kiddos (and maybe you). Bread and Cie delivers pastries every day, so be sure to try one of the mouth-watering options, such as scones, croissants, and macarons. Their espresso is especially well-known, so if you love those caffeinated shots, give an Espresso Bombia or Espresso Con Panna a try. They also serve almond milk for the lactose-intolerant among you. 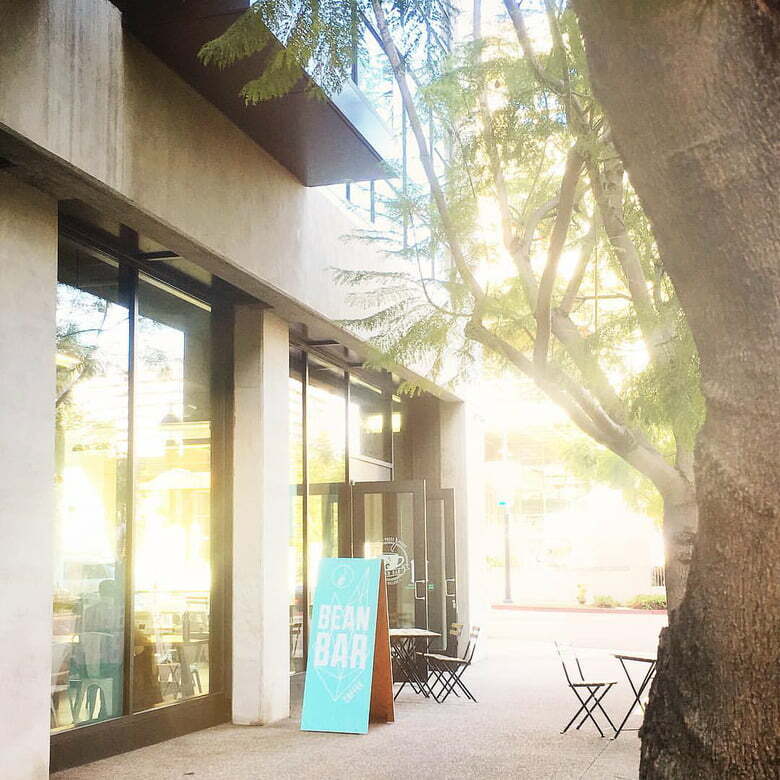 Hours: Monday – Friday, 6:30 a.m. – 4:30 p.m. | Saturday & Sunday, 7:30 a.m. – 4:30 p.m.
Bean Bar uses ethically sourced, fair-trade coffee that tastes fresh and strong. Low counters and roast sipping–trying small amounts of various roasts– encourage everyone to lean into the experience and try a new roast. The shop is small and intimate, but kids will love the pastries, refreshing sparkling drinks, and large windows for people-watching. If you like sweet coffee, indulge in the mocha, which is made with Ghirardelli chocolate. The coconut milk cafe au lait is delicious—smooth and not too coconutty—and comes in an enormous soup-bowl size. Try the honey cappuccino or a smooth almond latte if your stomach can’t handle the milk. Their mild brewed coffee is just right for those who like coffee but don’t want anything bitter or strong. 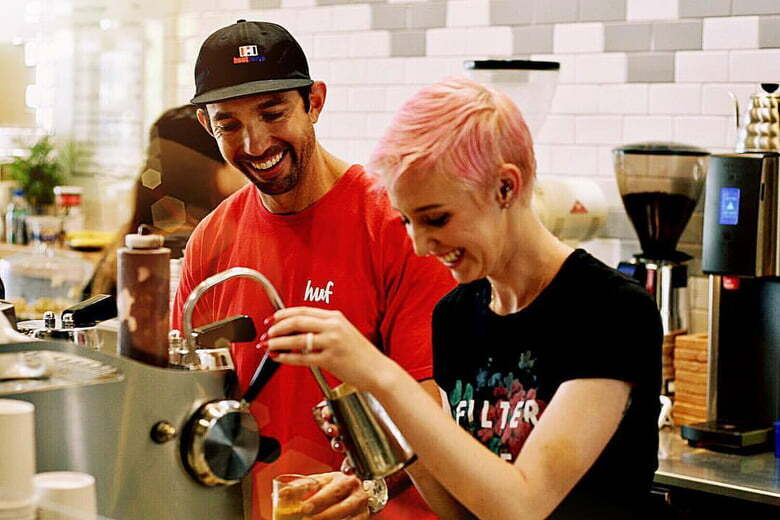 Hours: Monday – Friday, 6 a.m. – 6 p.m.
Hawthorn Coffee is a stylish coffee shop with friendly baristas and a laid-back feel. This father-and-son-owned store serves delicious pour-overs using beans from local beaneries like Foxy Coffee Company. Their espressos are smooth and their cold-brew coffee is potent and not to be consumed on an empty stomach! Sweet lovers will enjoy the chai latte, which is mildly spiced, and the dairy averse among you can try the almond milk latte. 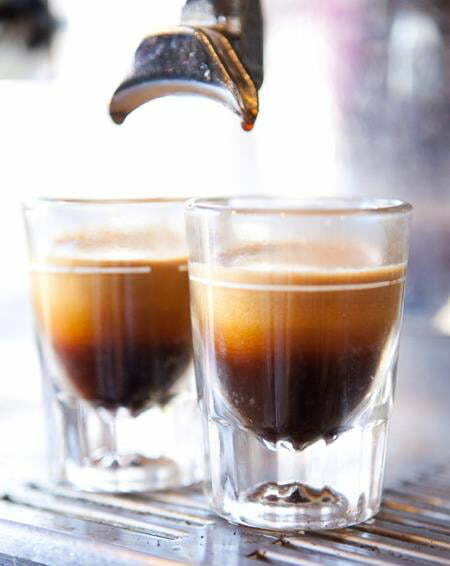 If you want to try something a bit unusual, ask for the 1+1, which is a shot of iced espresso and a shot of hot espresso. Kids will find Hawthorn Coffee has a relaxed environment, where the busy street outside makes for great people-watching and the wide counters are good for drawing on a piece of paper while they eat a doughnut. 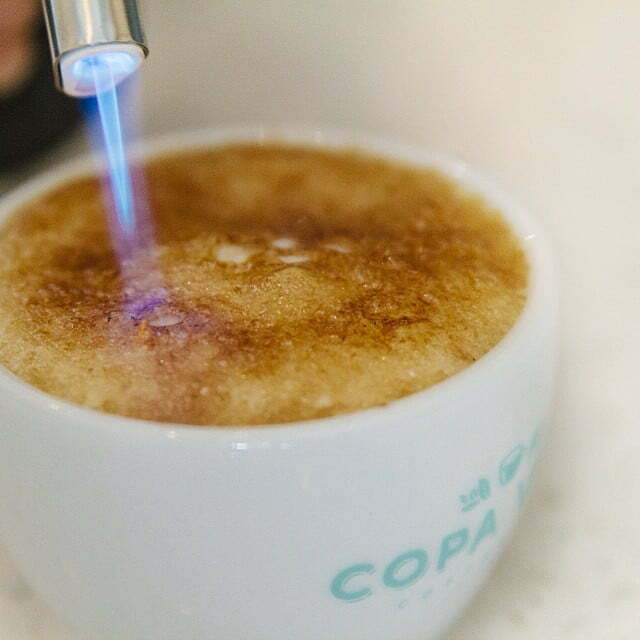 Hours: Monday – Friday, 7 a.m. – 7 p.m. | Saturday & Sunday, 8 a.m. – 7 p.m.
Copa Vida is fairly new, opening their first store in 2015. They use a variety of fair-trade coffee and tea companies, for those concerned with ethical sourcing. Copa Vida has indoor and outdoor seating with plenty of room for kids to hang out. Their Americano coffee is not watery but also avoids being overwhelming. Instead, it is a perfect balance. The Brazilian pour-over is delicious, and if you love lattes, try the lavender brulee latte, which is sweet brulee with a hint of lavender. This downtown location is connected to the entrance to the Park at the Park at Petco Park and is open to everyone on days when games aren’t being played. The Park at the Park has a little infield diamond, a picnic area, and even a statue of the late and greatly beloved Tony Gywnn. Where does your family like to gather for a cup of coffee and a good time?